All week I had been checking the weather, it looked as if we were going to have a wet and windy Kingsfold. All the equipment (tested during the week) tools & supplies for a cracking weekend were prepared. Please, please let’s have the weather to enjoy them. My work week had been good, so I was able to meet Alan at Crawley Sainsbury’s for the provisions required, well you can’t start a festival day without one of Alan’s Full English. 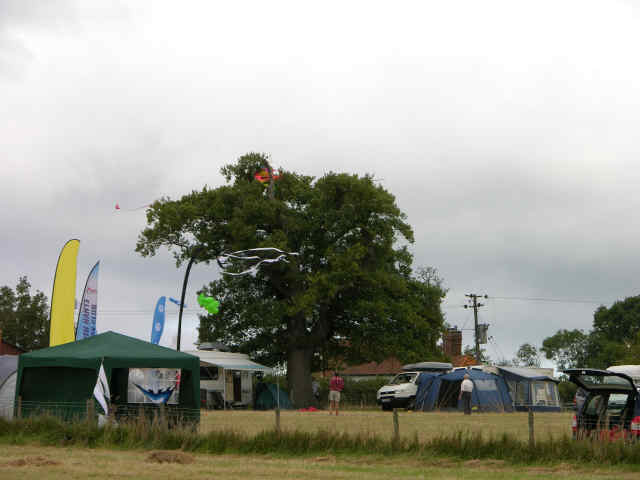 The Kingsfold organisers had done us proud, not a single land mine (cow pat) could be seen. And the sacrifices to the weather gods & goddess looked like they were working. After levelling Alan’s camper, (There can’t be much clutch left) it was on with the Kettle. Thanks Glenn for your help, we could have been in real trouble if we hadn’t had the use of your pieces of wood. 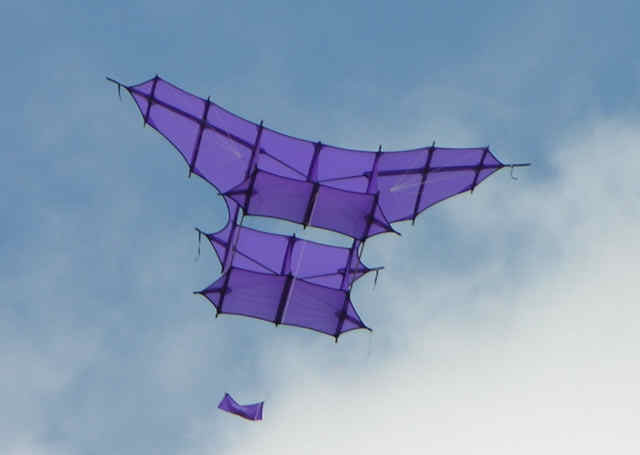 my No Wind kite will not fly, John will be able to grace the sky with this breath-taking kite! For the bargain price of £98.00 + C&C + VAT, excellent value. For that, you even get flying line! thanks to the modifications that Danny Rice made to her at Teston, she went up a treat. Now, Glenn's kite had been flying all afternoon, but as always at kite festivals my kite line found his! Let’s move on to the rocket launching. to go further, to do that we needed a pressure cylinder that could take considerably more pressure. and some large lumps of stainless. We now have a launch cylinder capable of 2000psi .... that should be enough for the time being. The engineering and science theory was very simple, but would it work? Air from Little beauty powered by Big Johns 3Kw Generator would fill the launch cylinder with air up to 150psi, (10bar) giving us the volume of air to launch rockets. This air pressure would be maintained via a non return valve. Then with the use of a 750psi (50bar) pressure test hand pump the air pressure would be increased in theory up to 750psi, that should do. Tests at work had proved that a burst disc made from a beer can, could be burst. An email was sent to everyone involved to start looking for suitable material for burst discs, we needed to find the optimum material. 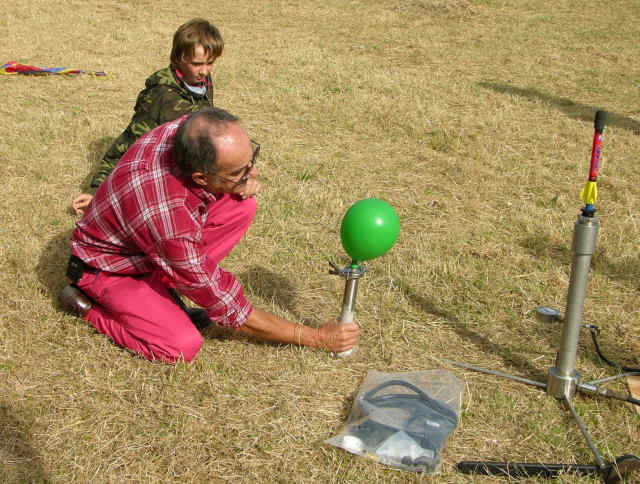 Now at Kingsfold we had the room to test fire a rocket, all the equipment was collected, The Stainless Steel Rocket Launcher, Little Beauty, Big John’s Generator, The pressure test hand pump, the cables and hoses necessary to connect everything and of course the BIG SPANNER. Many hands make light work and very soon all was ready to go. Thank you to everyone who helped, it doesn’t take long for the launch team to multiply. Alan had cut several beer can burst discs, so we decided to start there. One of these discs was placed in the launch cylinder adaptor, cover replaced and launch tube screwed in and tightened with the BIG SPANNER. 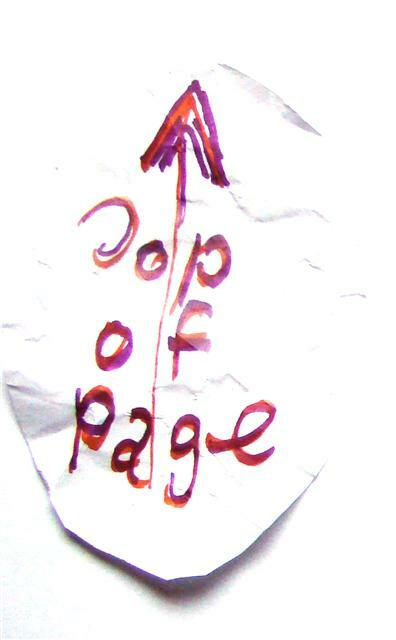 then we realised the rocket, a cheap Stomp Rocket had not left the launch pad ... how come ? Tape repair done, lets try again, this time someone kept an eye on the rocket , this time we blew it to smithereens, we never did find the nose cone. This Experiment proved that Stomp Rockets are not strong enough; we will have to wait for Margaret & Malcolm and Malcolm’s proper Rockets. It was only later as we went over experiment details, that we concluded that the slug from the centre of the burst disc, remember this was from a beer can, tore through the rocket like shrapnel. OOPS!! Thanks go to Glenys & Glenn for the fantastic spread and the great company, this is what makes kite festivals special. 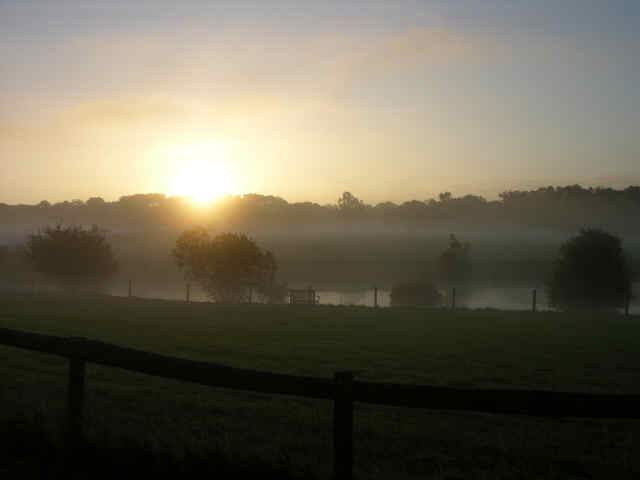 Saturday dawned in mist; sunshine through the mist over the lake looked absolutely fabulous. 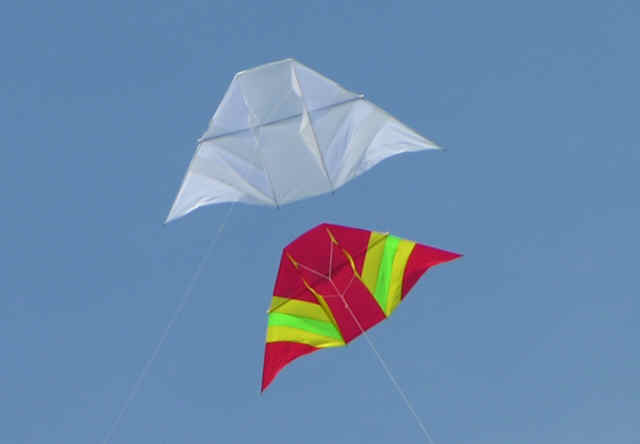 I flew my John Browning beating No Wind Kite in almost no wind, I’m sure John will be impressed. We were suppose to wait for John Browning for breakfast, but Alan and I were too hungry, not only that, Alan couldn’t wait to try his new Cadac, so on went the Bacon, sausage, mushrooms, tomatoes, eggs and the left over boiled potatoes from Glenys & Glenn’s buffet, that should just about see us through till lunch. he was very disappointed to hear he had missed breakfast. 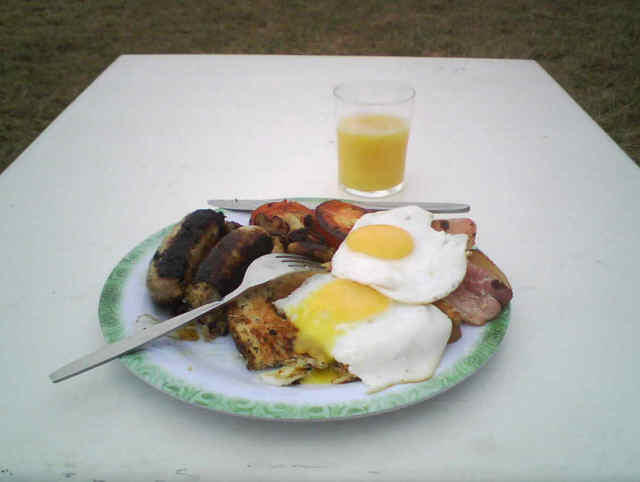 complete with toast, orange juice and coffee. (Don’t tell him we ate all the chips) He seemed to enjoy anyway. along side each other, do you think he’s worried about my kite? We had hardly finished clearing up, when Margaret & Malcolm arrived with rockets. The excitement was too much, we had to start with rockets. Janet and Big John had not surfaced, how were we going to pump air into rocket launcher? Malcolm saved the day, by produced a cracking twin cylinder foot pump. It was decided to use plastic bursting discs, no shrapnel, John B had bought some acetate which proved to be excellent bursting disc material. .... BANG ....Yes rocket had left launch pad .... where is it? .... can anyone see it ? ....... there it is! WWOOOWWW!!!!! ........ That was FANTASTIC! We must have sounded like 6 year olds at a birthday party. 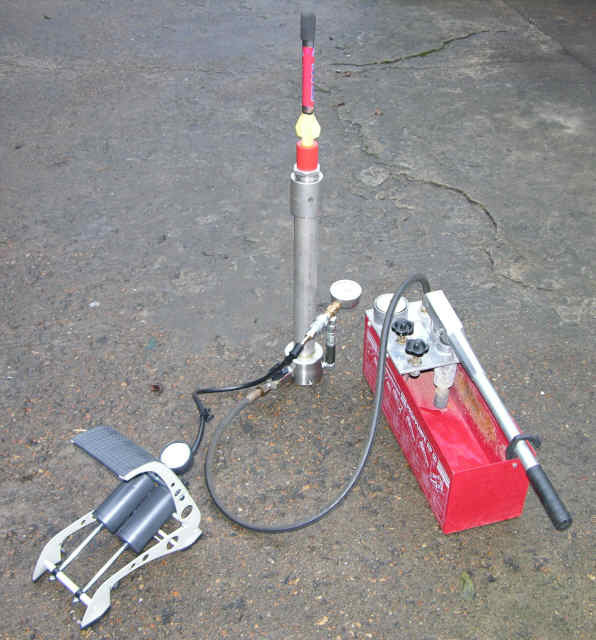 Thanks to John Elvin for the loan of his foot pump, after Malcolm’s collapsed, and your assistance in pumping up Launch cylinder, I should also say thank you to Glenn for the use of your 12volt pump, how come it took you so long to get it out? What a cracking pump I must keep an eye out for one. We must have been rather noisy. What do you expect with kids? but as it happened it could barely blow up a balloon, never mind we’ll think of something to do with it. 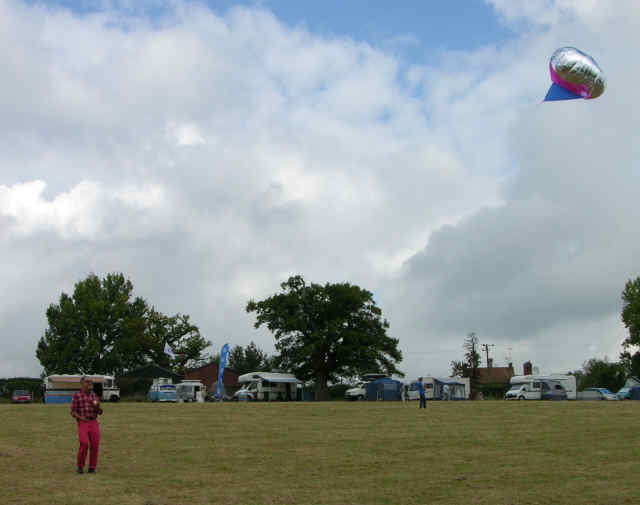 to keep it up can’t be called a No Wind Kite, it’s a helium balloon stuck to a kite, which is cheating. Many of you must be wondering how high we managed to launch the rockets, so are we. achieved, was by time the rocket took to return, some took a very long time. We must work on a method for recording the rockets height, any ideas? over time in air, well you know what I mean, there must be someone out there that knows the formula. 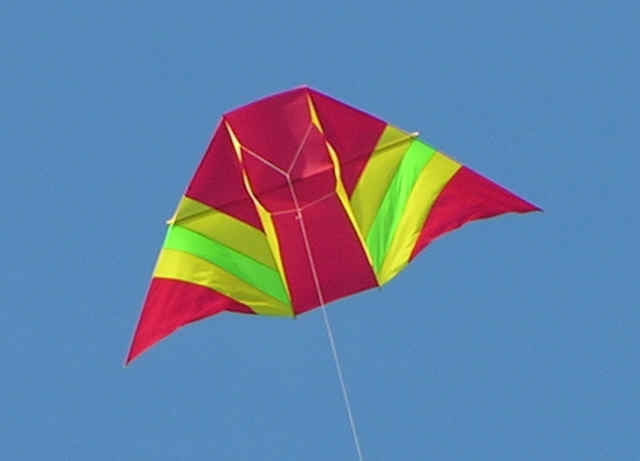 I think we can disregard wind as we only do this when there is not enough wind to fly kites. As usual the Grumpy Old Gits took great pleasure in perusing the tool stalls. 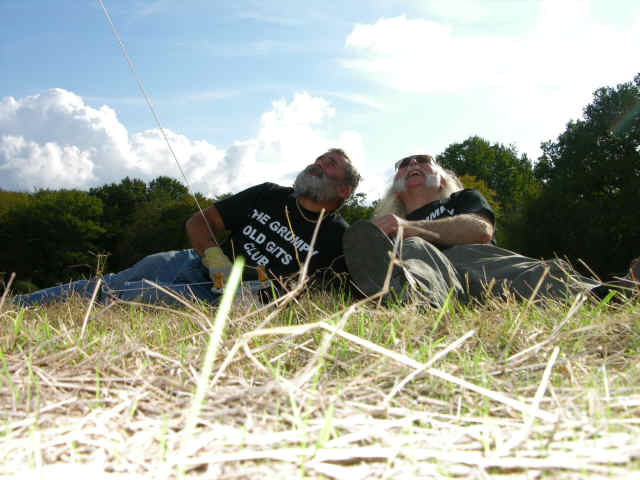 We had a lazy afternoon just flying kites, Glenn and myself were sitting on the grass watching the kites, I remarked “what more could anyone want, Fantastic weather, steady wind, great friends, kites gently fluttering in the breeze, the world at peace. "Just one thing missing”, “What’s that” replied Glenn. “A beer” Thanks Glenn for fetching them. Later we were joined by Margaret, she too wanted to chill. A BIG THANK YOU to Anne & Alan for the Fantastic Shepherds Pie Dinner and a BIG THANK YOU to my Frances for the Apple & Blackberry Crumble, it’s amazing how all these things taste so much better alfresco. Shame Alan forgot the Gravy. While everyone else was deep in conversation John Browning and I decided to checkout the saloon over at Deadwood, we nearly got lost in the dark. John was surprised by the new buildings; The Trapper now has a cabin. The Lamp shop was open and the log fire looked very inviting, so we had a wander round, not that there is a lot to wander round, but he does have great collection of oil lamps, if you ever need spares for your old oil lamps he’s the man to see. Further down Main Street we found the Saloon, it’s a great feeling to swing those doors, and strolled up to the bar. Once there we enquired about a drink, strictly speaking you’re supposed to take your own, but after a donation was made we had a drink. We were thoroughly entertained by the cowboys in the bar; it’s a serious business being a cowboy, almost as serious as being a Grumpy Old Git. We watched with incredulity as the lady behind the bar mixed drinks, ready for when her guests (can’t call them customers) arrive, after the Hoe Down. After mixing Cactus Juice, she started to work on the Mississippi Mud Slides , ½” of Kahlua, 1” Bailey’s or similar topped off with Vodka, as I was thinking you must be mad to drink that, she slides two of them over to John and I, Oh dear, I think that means we have to drink them !!!! John explained, (he’s obviously been here before) you have to down it in one, what the hell am I doing here? Why can’t we just slide out the door ... too many people. Well as they say, there are things you must do before you die, I think this is one of them. What the heck………….Gulp…………..OK not the finest drink if ever had , but definitely not the worst. And maybe if I end up in the saloon at Deadwood next year I’ll try another. 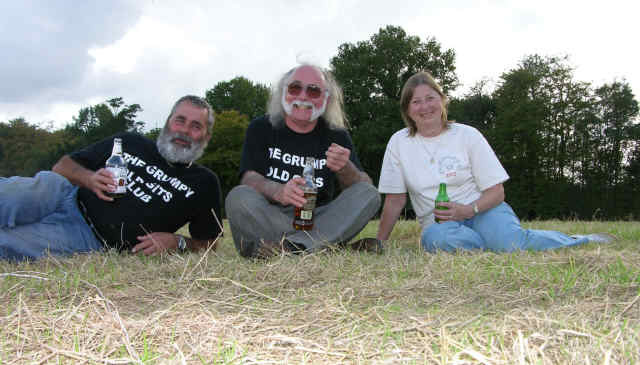 and John, Alan and myself retired to Alan’s camper for coffee and Southern Comfort. The only way to round off a perfect day. Needless to say I had a superb night’s sleep - Slept in late, can’t think why! OK where do we start? "Alan what are we going to do with all these sausages and bacon?" very simple reply "Cook 'em!" ..... well we ran out of room on the cadac - can you believe it? Seeing Les Reed up the hill we decided to invite him to breakfast and if anyone else had wandered by, they too would have been invited. 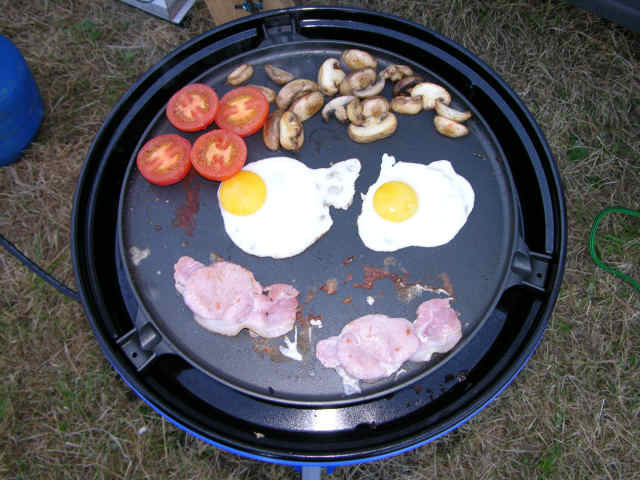 Les bought his mini Cadac so we had some where to cook the eggs. Can you imagine it four Grumpy Old Gits slaving over Cadacs? Glenn eventually surfaced so was forced to have breakfast with us, not that it took much persuading. During breakfast we were lamenting the fact that we had not had any pancakes this weekend. Les soon remedied the situation, he had pancake mix enough for all, so not only did we have a cracking breakfast we also had dessert, can’t be bad. Thanks Les they were great! Disaster Struck, Big Johns Helikite had been tied to the underside of his awning, but as the wind picked up the Silver helium filled balloon parted company with the kite and floated gracefully up over the Kingsfold site, No doubt later on today there will be people convinced they’ve seen a UFO. and boy does it fly beautifully, I still can’t believe it’s mine, I’m such a lucky boy. Thanks again Glenn for your help Cody’s this size take a lot of launching. Glenn already had his Mega Sled Delta flying, don’t they look great flying together. Also a thank you to Paul Morgan for the Mega Sled Delta, Glenn’s chuffed to bits with it. 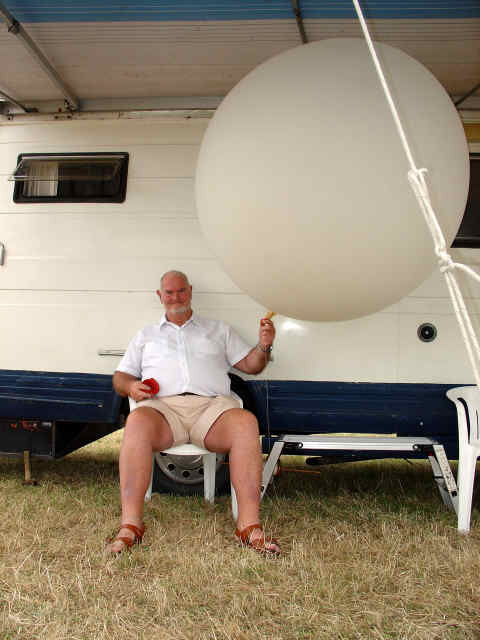 Apologies to Paul as well, we managed to break my White Mega Sled Delta, bringing it down on Saturday night - well you try bringing a kite down in the dark.... You can rest assured I’ve mended it already, I can’t be without my White Mega Sled Delta. I’m sure Dave McArthur would not have minded his Trailer tent being soaked. After much pestering from John, I relented and let him have my bucket, the one I planned to mix bubble juice in. "do you think we should have a look?" ...."not yet!" - water everywhere, and a great cheer from all the onlookers. Well.... that went well ..... We need a bigger bottle! 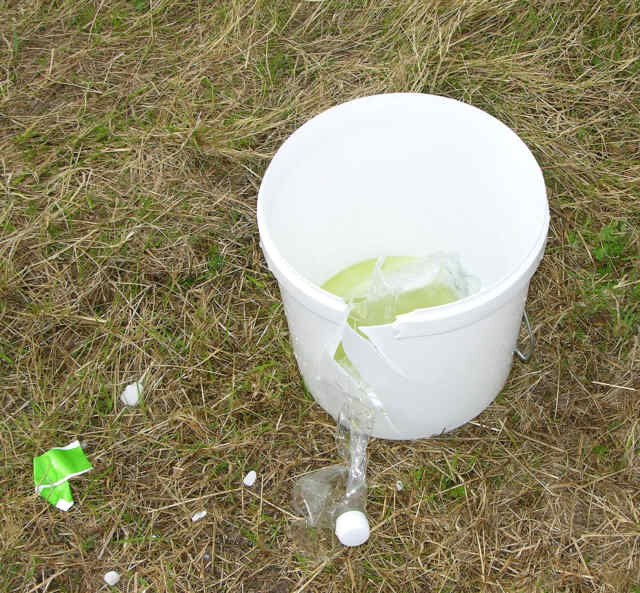 Not only had the CO2 blown the bottle up, it had shattered the bucket. I think that concludes our noisy experiments for today. What am I going to mix my bubble juice in now? 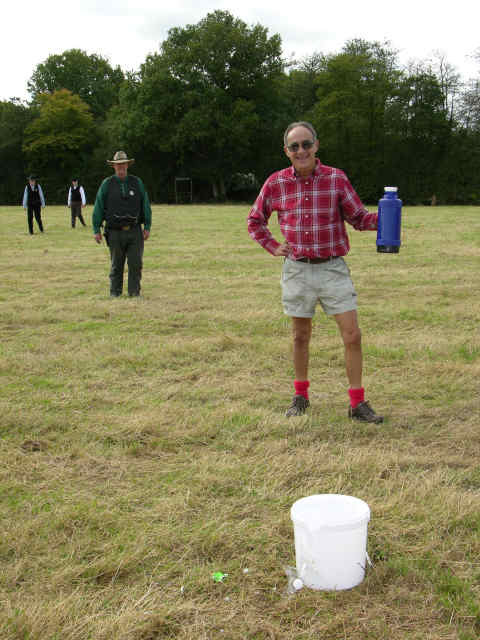 appeared in the field ready to arrest John, who was posing with the destroyed bucket. They had thought they were under attack, they believed the sound to be a cannon! After explaining the science John was allowed to go free. Have they got a Jail in Deadwood? we will have to come back to this one at a later date. very eerie and atmospheric, mist hovering over the surface just like a horror movie. Shame Matt had to climb the Oak Tree to complete the rescue. Well done Matt, where would International Kite Rescue be without you? back into the Pick Up, why does it always seem as if there’s not enough room to put it all back? I don’t want to go it’s been far too good. Just remember we can do it all again soon. Many thanks to Anne, Alan & My sister Jan for proof reading.